MTS India, the CDMA mobile and data service provider is making their retail presence stronger in Tamilnadu as the company opens up 13 new own branded retail outlets as a part of company’s effort to cater enhanced customer experience. 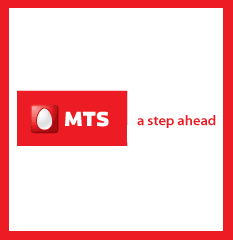 MTS Stores, one stop shop for all voice and data solutions from MTS India will serve more than 15 lakh voice and data subscribers in the circle. MTS India will roll out another 5 retail outlets soon in Tamilnadu to take the total number of branded stores to 100 apart from branded retail stores MTS has robust network of more than 18,500 retailers across the circle. ·The retail outlets to provide end-to-end voice and data solutions and ensure customer convenience. ·Customers can experience the entire range of product portfolio in both data and voice including the recently launched Android Smartphones MTag 351, MTag 352, MTag 353, MTag 401, & Samsung Galaxy Y CDMA. ·Retail outlets offer the entire gamut of value added service. ·Customers can get a first hand impression and take live demonstrations of products & services.